Paul Arni, MD, market head, Zurich, Julius Baer & Co. The executive round table at the Marriott Hotel in Zurich, Switzerland, was aimed at select representatives from the banks in Switzerland. 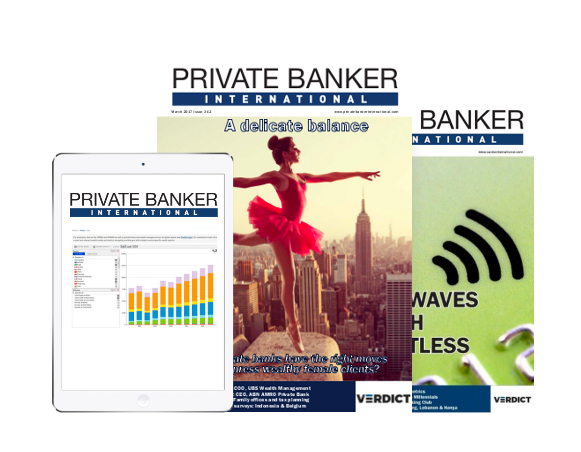 The agenda was tailored around revealing the findings from the whitepaper ‘The evolving private banking markets in Switzerland and Singapore: comparable or contrasting?‘ – written by Private Banker International and sponsored by Omgeo. The whitepaper highlights how the two banking power houses are ever changing to combat increasing pressure of a recovering industry. The presentation of the key findings was carried out by Meghna Mukerjee, editor of Private Banker International. "Both countries have comparable strengths: strong rule of law, stable environments, deep pools of product advice and expertise, and attractive locations, but also remain distinctive," said Mukerjee. The whitepaper presentation was followed by an interesting Q&A session, which ended in a coffee and networking session. The second leg of the round table was a panel discussion and Q&A session with select industry experts in Switzerland. Three panelists joined the conversation. The conversation started with the discussion around how changing regulations and more transparency have actually affected the private banks in Switzerland. Paul Arni, managing director, market head Zurich, Julius Baer & Co, said: "First of all, change is always good as it tends to strengthen the industry. The industry has had some weaknesses – it still has – and we need to adapt. It has also increased in complexity. It has increased the demands of the clients visa-vis the bank. "I think the client experience has dramatically changed. It has also increased the cost of doing business, while the margins have come down." The result, from Arni’s perspective, will not be the industry becoming less competitive. However, not all participants will survive, he added. Christian Schulthess, executive director, head of credit, Falcon Private Bank said it is "very important that banks find the target segments that are most important to them, and they have to rethink the need to be in every market". "Larger banks are pulling back from certain markets. It can be an opportunity for smaller banks to build their niche in core markets," he explained. Ulrich Knopp, partner at MilleniumAssociates said: "We are talking to many smaller banks and independent asset managers, and the notion is that regulatory costs are high and they want to refocus on certain markets where they feel strong enough to be a major player, and the rest of the markets they tend to exit in one way or the other. Choosing the right markets is a big step for the smallerbanks. Knopp also said he had noticed a "certain nationalisation of regulation". "There – in many cases – it could further enhance the process of assessing certain markets and taking a conscious decision of whether or not to stay in them," he said. Many lenders are bringing their asset and wealth management sides into their private banking operations. When asked if there are true advantages to this strategy, Knopp said: "We see the integration of asset management in various instances, but we also see that there is an idea of creating a boutique approach – having more than one or two dedicated asset management houses under a roof but more or less run independently and catering to different needs of clients. been made to the front units, and if this is going to be firmly abolished by the regulator there are a few new questions that need to be asked about whether it makes any sense to keep the asset management business in Switzerland or not." On the other hand, Knopp pointed out, FINMA says asset management is a business opportunity for Switzerland and it should be developed. He added: "The asset management industry has to develop in parallel to the private banking industry. The question is: is the regulatory environment in Switzerland helping that? What does it mean in terms of the tax situation, stamp duty discussion where other countries are further ahead and providing a friendlier environment? "There have to be steps from the regulators side to help the industry go towards a certain direction." Arni highlighted the clients’ perspective. "I think it’s a good thing that we don’t have asset management in-house. There tends to be a conflict of interest. If we have the notion of an open platform, it is contradictory to own an asset management business in-house," he said. Talking about the most difficult aspects of FINMA’s regulation, Arni said the struggle is the lack of clarity around what the targets are and which areas need to be adapted, because that effects banks on a daily basis. "The whole thing about the investor’s protection rules and regulations – they are, from my perspective, unclear. How a typical relationship manager (RM) has to do his daily work and how we work with central units and adapt to our technology. All those questions will have a huge impact on the operating model of private banks because it is a moving target. I think it is a big challenge." Regulatory changes do have an impact on the client experience in the end. The panelists were asked about what banks should be doing to keep clients happy during a time when regulation and competition are both rampant. Arni said banks need to think about new ways of dealing with clients and serving them better as, currently, 60%-70% of clients are self directed. "We have to also think about how we save our revenue pool again, because if the revenue is going down by 30% over a five-year period, that is not the place our industry wants to be in," he added. The panellists were faced with a question around what the key drivers are for clients choosing one private bank over another. are also important. If these three aspects are in place, the clients are keen to bank with you. "Clients must have close contacts with their RMs and they need to be accessible – especially since clients don’t meet their RMs very often. They must always be able to get the reports they need," said Schulthess. To this, Arni pointed out however, that there is a huge difference between RMs handling onshore and offshore clients. "Wealthy clients in Switzerland like to meet the RMs – not as much as in Asia like every other week, but two to four times a year. The offshore clients will always, from my perspective, be important. You don’t only put your assets offshore because of tax reasons there are many other reasons why clients should be working with Swiss banks here in Switzerland. "But because there is a high emphasis on transparency, those clients demand much more in terms of interaction," he added. Discussing what the main weaknesses and opportunities are in the Swiss private banking market, Knopp said Switzerland is still perceived as a strong international centre versus a more regionally oriented centre like Singapore, which is an advantage. 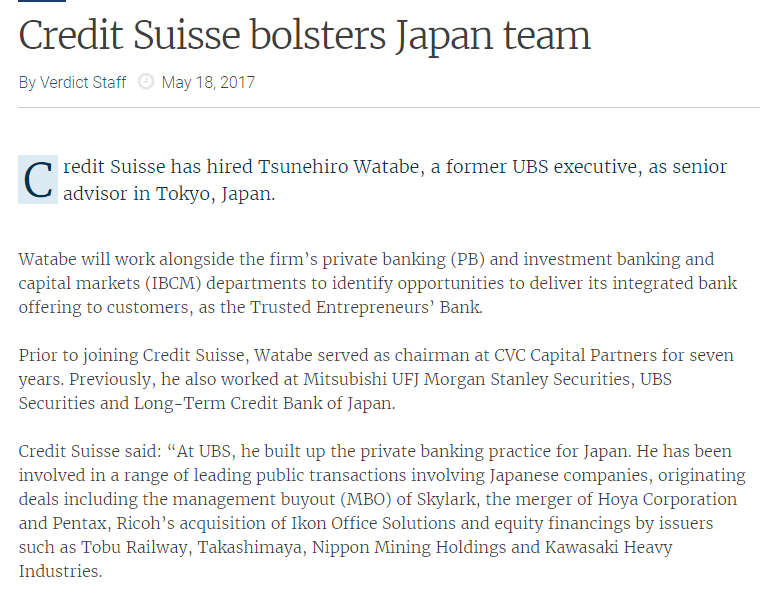 "The deep understanding of the needs of private banking clients is definitely a strong advantage in Switzerland," he said. Arni said the "internationality of the system, the stability of the system, and the know-how of the people" are features that set Switzerland apart. "The processes are in place and they work. It’s the small things that will remain and always make Switzerland an important hub," he added. There is probably just one big challenge, let on Arni, which is the speed or willingness of change. 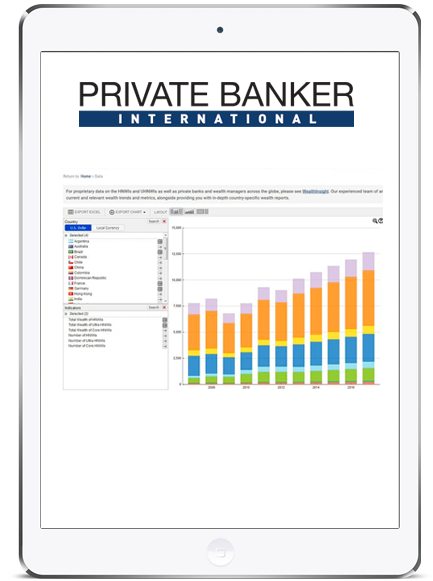 "Private banking is a very long-term, sustainable business. We talk to clients and they don’t like changes. But at the same time we are in an industry that has to change and to balance those two sides is the biggest challenge that we have. "We have to change each and take every RM in the industry and make them aware that they have to change the way we should be doing business. It is a huge task, though it is doable and we have to be aware that there is no way around it. "We have all the answers and we know what we should do. I think we have all the concepts ready. Sometimes we don’t have the technology ready, but that is a question of time and money. But ultimately, it is the people who have to change the way they do business," explained Arni. Schulthess agreed that speed and accuracy were of supreme importance to the private banking market in Switzerland. The key, said Schulthess, was to "anticipate which direction trends are going in, to foresee that and decide how to cope with them". When the discussion turned to Switzerland’s position in terms of technology deployments and enhancements, some interesting opinions were shared. Arni said: "The penetration of mobile phones in Switzerland is very high. But it takes time for something to be spread among your clients. "Maybe we lag behind when it comes to advisory technology. The question then is, how much can you separate technology from the individual? Private banking is and will be a person to person relationship and technology can only help. But there are some gaps." Knopp agreed, saying: "I know Asian banks are ahead in terms of technology but it could also be too much for my taste. How much of the technology available do clients subscribe to? Accuracy is very important; timing is very important. "There might be people using every piece of the offerings that are in the market now, but a lot of people, like me, simply don’t have the time. You have to draw the line somewhere around what is really necessary and what is nice to have. Probably the ‘nice to have’ is really nice to have, but no more than that." Schulthess added that for a smaller bank, technology to serve clients is not a critical success factor. Arni said technology’s importance will also depend on where the benchmark will be in time. He pointed out that in certain situations the problem is not the technology but it is whether or not the old RMs are fit enough to master their new technology tools. "It’s the speed of change and the speed of education that is the most challenging part, at least here in Switzerland," Arni added. There were some useful insights that the panellists shared once the conversation moved to the topic of automation. The white paper research revealed that though automation is a strongly debated issue in private banking, players in both Singapore and Switzerland are beginning to see outsourcing as more appealing than it once was. Knopp highlighted that automation is widely ongoing across the industry and large banks are "actively pursuing this idea". "I know there are projects where they outsource functions that are not key within the bank. The question is which parts of the value chain of the bank are first to be outsourced, and which are the last ones? But it is happening right now. "It’s not a trend – it is now perceived as the given thing. Banks need to do it in order to increase profitability – especially at a time when margins are going down and what you can most easily influence is the cost side," he added. Arni said that as long as the big banks are focusing on cost play, small and medium-sized players can focus on client experience. "In my perspective, you cannot win in private banking focusing on cost play for a long period, because you lose client experience and that’s the only thing the client is prepared to pay for. They will not pay a lot for transaction or custody because that’s commodity and they are not prepared to pay for just account keeping. "They want to pay for experience. We have to think of what quality of services means. We have to have accuracy in what we do, speed and high level and activity vis-a-vis the client, and then come to price. If we start to talk about price and price reductions early in the client meeting that client is lost already." However, Ulrich added that in an ideal world, the client will never realise that there is a process that has been outsourced and that bigger banks are sensible in how they manage their client experience. Staying on the topic of cost reduction, the rising popularity of Roboadvisors came up. 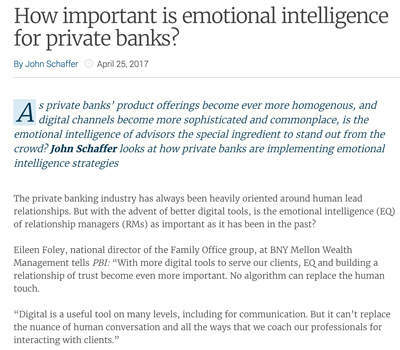 Schulthess said, however, in wealth management it is and will always be the case that clients want to see and sit down with their clients so how banks treat HNW clients is going to be the same. "Technology won’t change that," he added. Knopp agreed, asking, "How do you justify your management fee if you have a robot or avatars doing the work? I would prefer speaking to someone who can make decisions. Why do we have an asset manager or a CIO in a bank if I have an avatar talking to me? For a mass affluent client it’s alright, but as a HNW or UHNW I won’t accept that." 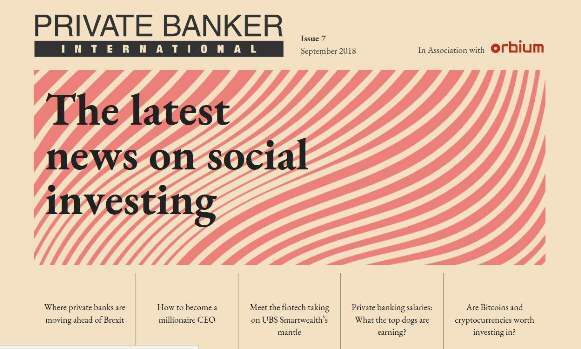 Coming to a core question from the white paper, the conversation moved to the perceived competition between Singapore and Switzerland’s private banking markets and their positions as global wealth powerhouses. Arni said that though Singapore is an important booking centre in terms of staff and assets and clients, it is not a competitor that Swiss banks should fear and it should be more about a learning experience that rivalry. "The same goes the other way around. There is a distinction between the two places. Even though private banking and private banks tend to be global and in many different locations, in the end when it comes to the individual, it is still a local business. "You want to talk to someone who understands your dialect, your surroundings, who can think of your life cycle not because he learnt or heard about it, but has experienced it," he said. Knopp brought in another angle, saying that one also has to keep in mind the difference between competition from a country side – as financial centres – as well as competition between the banks and their offerings. "I don’t want to comment on the country side because it is very complex on the regulatory side, but most banks that have an international presence have a hub in Singapore. The question is, does the regulatory environment favour one or the other country in terms of what they can offer? "Switzerland on one hand is a very free country and Singapore is more regulated. On the other hand, it can be vice versa. It depends on what works for you. "But the UHNW individual does not care where his account is. He wants someone sitting in front of him and that could be in Zurich or Singapore or both. But he doesn’t really care which country’s server his money is put into." 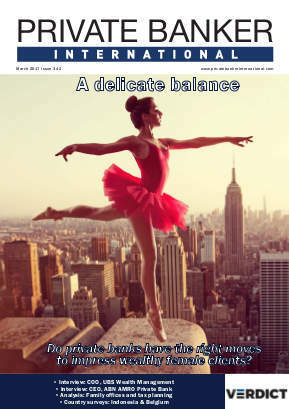 Schulthess said that from his perspective it is less about the difference between financial centres and more about the banks and their tactical behaviour, as clients shop around between financial centres as well as banks. Arni said UHNW clients need sophistication as they make for a challenging client segment. However, another sweet spot for private banks in Switzerland is clients segment with investable wealth between 1m and 20m, he said. "I don’t know many Swiss clients in that range that book their assets in different booking centres. I don’t think on the HNWIs’ part, Singapore is going to be a big threat or competition to Switzerland," added Arni. Talking about whether or not Switzerland will remain the world’s biggest wealth hub, Arni said there is a definite need for banks to pull up their socks and not simply lean on the Swiss banking heritage. "Yes we need to be proud but we also have to develop as the world is developing very fast and we have to adapt. "I think there are a couple of values in the Swiss private banking market that will always remain. Switzerland is a small country and has always had to adapt. We have to increase the speed but I think it will remain a big hub for private banking going forward," said Arni. A Q&A session followed the panel discussion that threw up some more interesting opinions and insights. One of the questions pointed to the panel was that apart from Singapore, is there any other geography that poses as a strong rival to Switzerland? Knopp answered that it ultimately depends on the regulation in other countries. "We have recently seen demand in Panama, there are still questions about small islands in the Caribbean. There might be something from the Russian side. In terms of repatriation of certain financial means, there are risks to certain categories of assets," he said. Knopp also added: "I’m sure that FINMA and the government of Switzerland are very aware of the competitive tendencies with other countries like Singapore, as a large part of Switzerland’s GDP comes from banking. Thus there will be strong monitoring of what is happening in other countries." Schulthess pointed out that China is trying to build its private banking and wealth management capabilities up in certain areas, whereas Arni said that Switzerland is "very well connected to the rest of the world", which in itself is a big advantage. Another noteworthy question was around how successful private bankers are setting up their own outfits and whether or not they are a real challengers in the industry. Arni said a majority of successful RMs seek their independence and want to set up their own outfits, but it is not going to be easy for them going forward. "Given the regulatory environment, I don’t see there is much to gain if you are a one man shop doing some sort of wealth management. 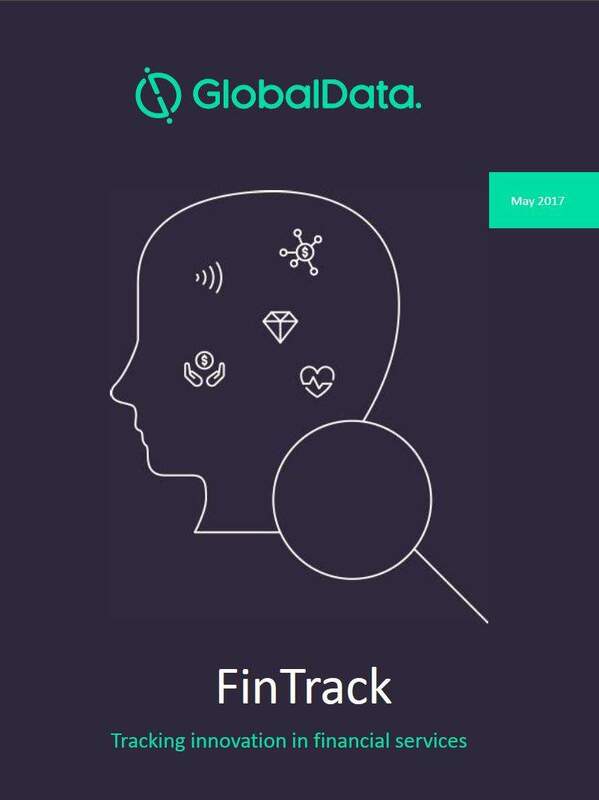 The regulator has started to go off the custodian bank to make sure all the regulatory topics are met – I think there will be bigger conglomerates of external asset managers under a banking umbrella." Also, in one man shows as the founders get older, they will also need to start thinking about their succession, which may be difficult, said Arni. Knopp said that there is a lot of M&A activity going on right now and it is a strong market for external or independent asset managers, as clients are cost sensitive. "You have the regulatory pressure but the margins are not big enough to cover for that. There is a tendency to form groups or go to a larger setup where they have everything covered on the regulatory, custodian, and accounting sides. "Not all the business models in the market today are suiting everyone," he said. Paul added that the industry needs to think of different ways of framing employee contracts, beyond the "fixed salary and discretionary bonus" model. Several other questions were answered and myriad views were shared. The Q&A session ended with a networking and drinks reception.